I was eight years old when my dad taught me how to read a box score. I was home sick from school and lounging on the sofa bed in the family room (which we called the “TV room”). With the newspaper between us, Dad explained to me what all the stats meant and even how to calculate some of them (he was a math teacher, after all). Dad had grown up a Brooklyn Dodgers fan in the 1940s and 50s. I now know many stories about “dem bums.” When the Dodgers left Brooklyn, Dad stopped watching baseball – until his favorite player, Duke Snider, was traded to the New York Mets in 1963. While Duke was only a Met for a year, Dad has remained a fan to this day. I don’t remember the miracle Mets of 1969, but I do remember the Amazing Mets of 1973. Baseball is one of the many ways my Dad and I have connected over the years. It would later become one of the ways my husband and I would connect. It’s well-known that baseball is a metaphor for life; at least for the life of a diehard fan. I went to my first game at Shea Stadium in 1975. My dad, my grandfather and I sat in the upper deck. It was batting helmet day, which meant kids got a plastic replica of that piece of players’ gear as a souvenir. Over the years of my childhood, our whole family would go to at least one game a year – usually “banner day,” which in those days was a real double-header that only required a single ticket. My mom, who never really understood baseball, came along anyway. She’d pack a picnic cooler with sandwiches and fruit (usually peaches). Over the years of my youth, particularly my teenage years, baseball saved me more than once from bouts of existential angst. It always seemed like no matter what was worrying me, nothing could possibly go wrong while there was a baseball game on television. This was even true in the late 1970s, when one of the things that usually did go wrong was that the Mets did not win the game! Still, there was a sense that baseball could bring peace to Earth. There are other memories I associate with summer and baseball, too, like the smell of freshly cut grass, the image of a Rheingold beer can, and attempting to play the game myself with a bunch of friends at the park (I eventually traded in my glove for a tennis racket). 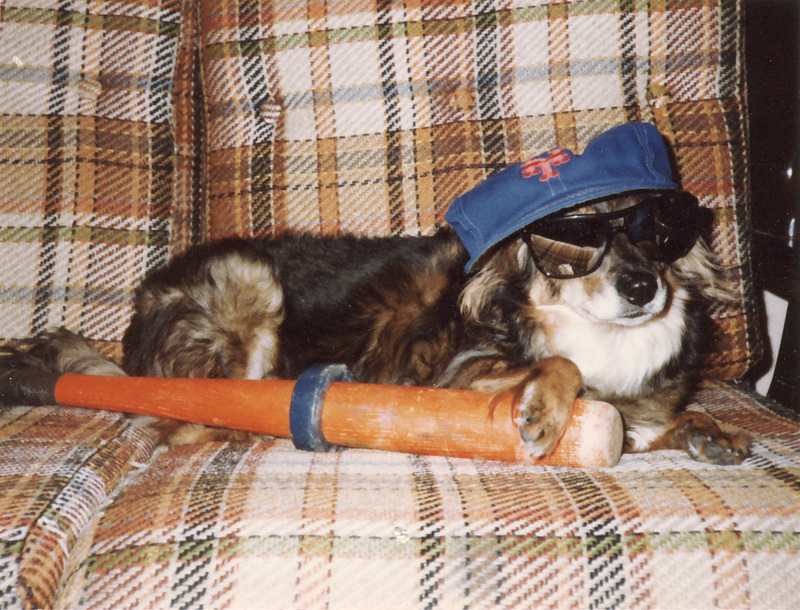 Even our dog was a Mets fan! Over the years, I’ve been teased mercilessly by those other New York baseball fans (you know who you are). I don’t care much. They’re not the only ones who ever teased me, but at least in this case it was (mostly) good-natured fun. As the fan of a team that goes years without winning, you learn some important life lessons winners perhaps don’t learn. For example, it’s not whether you win or lose but how much fun you have along the way that matters most. When I went to college, my parents were thrilled that two of the guys I met the first week were “Italian Catholic Met fans.” What were the odds? While we were just friends, they are friendships I’ll always remember fondly. And then came the ’86 Mets. I’ve seen clips of the end of Game 6—the turning point that led to the World Series win we’d waited 17 years to see—dozens of times in the decades since. It never gets old. What I learned there is patience is a virtue and miracles can happen. Of course, it would be another 14 years before I’d see my team in a World Series again, but no matter. The time in between was still lots of fun. In my thirties, I developed my own kind of meditation practice (in addition to the more traditional types). To calm my chattering mind, I’d watch a baseball game and tally the action on a scorecard. Focused only on that for a few hours, my worries would disappear, at least for a while. The man I married was one of “those other” New York fans (despite the fact that he grew up in California). However, there is a happy ending — and a few more lessons — there. I learned tolerance in a whole new way. I also learned change for the better is possible. You see, while my husband does not like to admit it, he’s a convert. We’ve been to dozens of Mets games together over the years since! First, though, I had to do the unthinkable. Two weeks after our first date (a visit to the Yogi Berra Museum in Montclair, NJ), he took me to Baltimore to see the Orioles play the Yankees. As if that wasn’t enough to cause my father serious concern, the next season I went to the one place where Dad never thought he’d see me go. Yes, I went to Yankee Stadium. (Love makes you do strange things.) For my Mets fan friends who don’t know about this part of my past, I’m sorry you had to find out this way! Soon after, though, my husband discovered what I’d known all along. The New York Mets are much more fun to watch! So we set out to see them—or any team—play all over the country. We took a seven hour drive to Pittsburgh when the Mets played there. 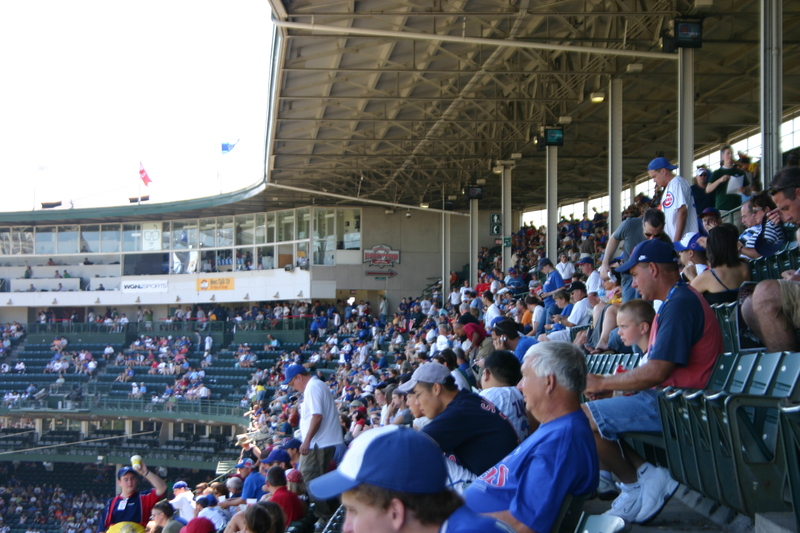 There were a few trips to Philadelphia, one to Milwaukee, and (my favorite) to Chicago’s Wrigley Field. And in 2006, we took the first of three trips to Florida for my birthday (which happens be during spring training). There’s nothing quite as uplifting as leaving winter behind and watching your team prepare for opening day. We wove stops at baseball stadiums into our Arizona and San Francisco vacations as well, though the Mets were not in town in either place at the time. At one point we planned to get to every ballpark in the country. I don’t know if we’ll ever meet that goal, but you know what they say. The journey is more important than the destination. Now, it may seem at first glance that a post about baseball is out of place on a blog about “wellness and vibrating at higher frequencies.” But if you’re a baseball fan too, you know why it’s here. After decades of watching the game and rooting for my (often underdog) team, it has not gotten old. It has gotten harder though (maybe much like life itself). As a kid, all I saw was a game. Now I see greed, steroids and other unseemly things that are often hard to overlook. But the joy of the game trumps all that. As all fans know, baseball is a lot like life. It can be the best thing in the world if you’re willing to accept its flaws and stay focused on the things that make it great. I hereby nominate Chico Escuela to the all time Mets all vowel team.